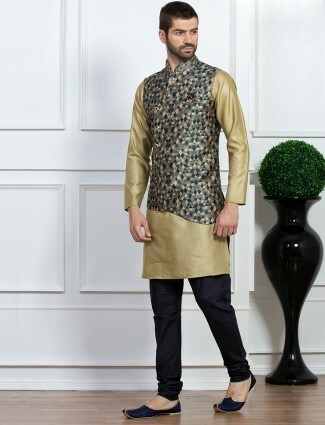 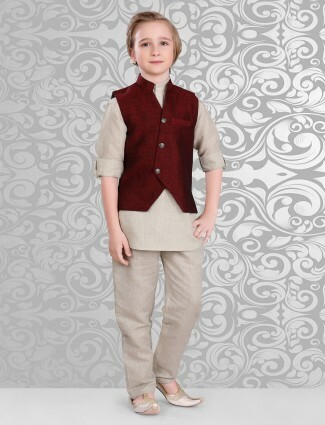 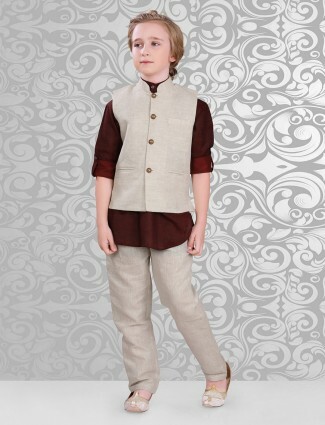 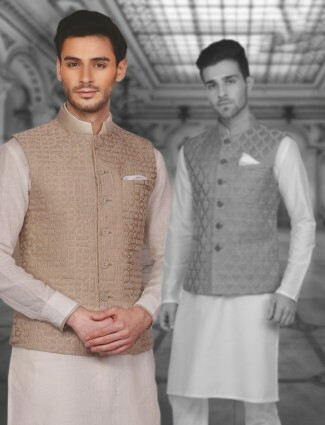 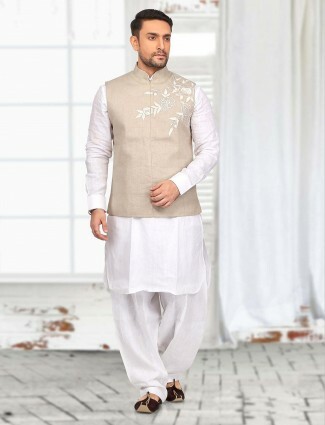 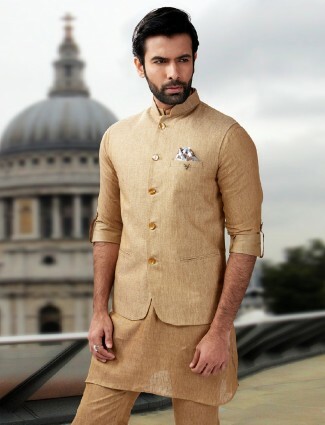 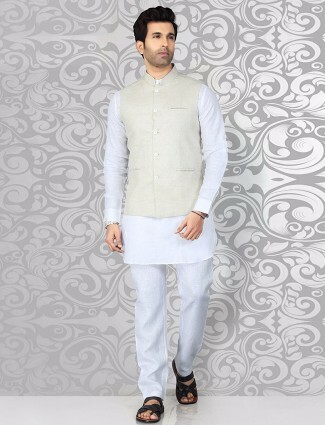 Attractive look in wedding function with this beige colored raw silk fabric waistcoat set. 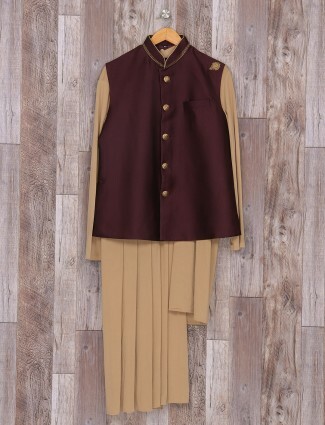 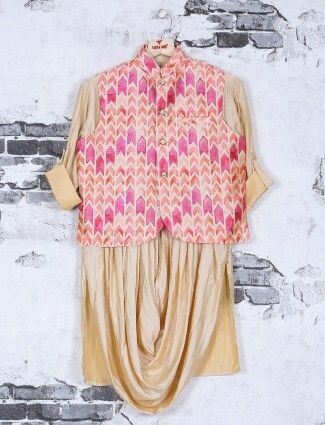 It has printed, stand collar, cross full buttoned placket, high low hem, welt pocket with brooch. 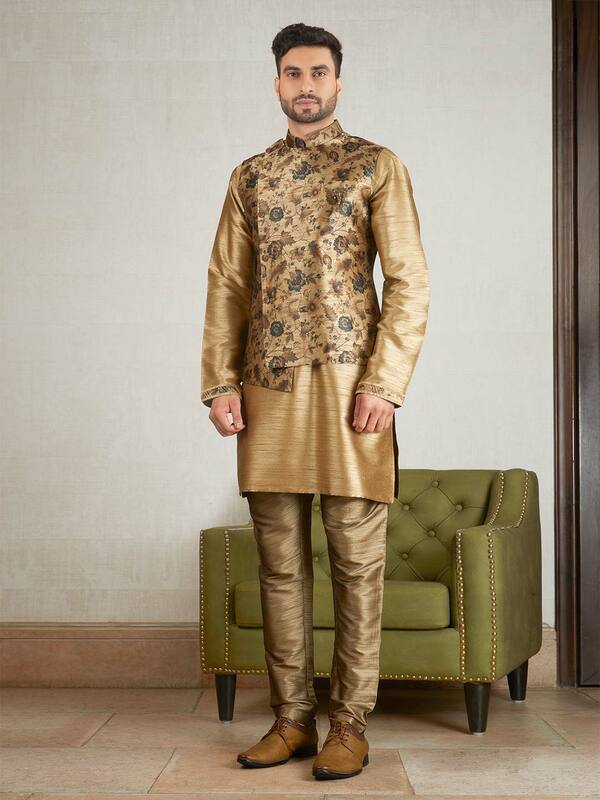 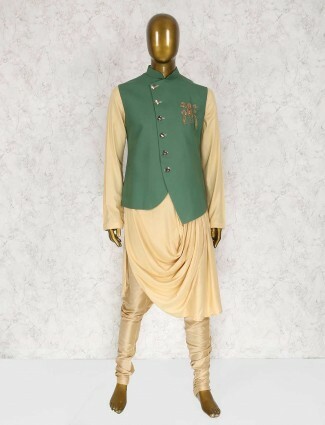 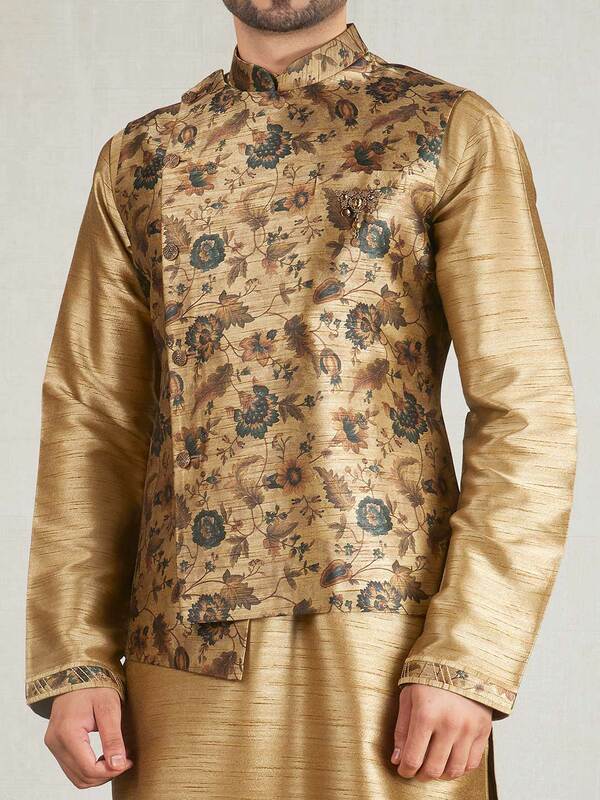 Comes with same colored kurta suit.